Is Lenovo planning to buy HTC? Newspapers in Korea and China have both reported that Lenovo and HTC have been in talks over a partnership or sale since August. 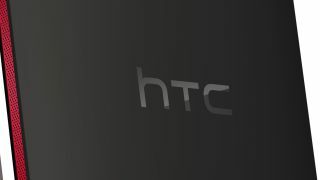 HTC doesn't have an official statement on the rumours but the Korean manufacturer told the WSJ that is is "not interested in selling" and neither HTC nor Lenovo would say whether they have a different kind of partnership under way. It's no secret that HTC's bank balance is in freefall as it reported its first ever loss earlier this week, despite the fact that it has made what TechRadar deems to be the world's best phone in the form of the HTC One. Top smartphone skills haven't seen HTC nabbing a seat at the top table with the iPhone 5S and Samsung Galaxy S4 though. Last month the company sold off its Beats shares for a sweet $265 million cash injection (around £165m / AU$284m). As for Lenovo, while it still rides high in the ailing PC market, it hasn't had much luck on the smartphone or tablet side of things; linking up with HTC could give it a boost in this arena. We'd be very surprised to see an outright sale a la Microsoft/Nokia but a partnership could be on the cards. Neither company is commenting for now, however, so we'll just have to wait and see.